Floors are one of your most important decisions for interior design. They provide the foundation for the rest of the room, giving you flexibility or boxing you in, depending on the style. They’re also notoriously hard to change, unlike wall colors or decorations, so they’re a more significant long-term decision. On top of that, you’ll need to consider the functionality as well as the style; just because it looks good doesn’t mean it’s practical. 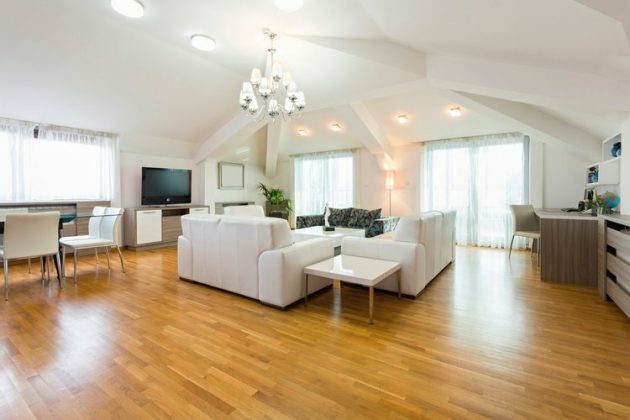 So which flooring options are best for showing off your home? Hardwood. Hardwoods are a classic choice, giving you a charming, warm look. They’re also very easy to clean and maintain, giving them a sleeker long-term appearance than some of their counterparts. Hardwoods also have a big advantage in flexibility; there are many rich shades to choose from, and depending on the style, hardwoods range from inexpensive to luxurious. Tile. 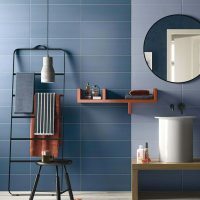 Tile comes in many varieties as well. For example, glazed ceramic tile is known for being very durable and resistant to scratches. 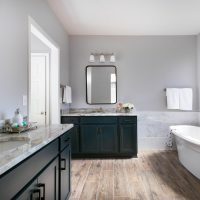 Certain types of tile, like marble, can give your home a regal feel while others, like slate or granite can give you a unique, earthier feel. However, some types of tile can crack easily, and the grout is sometimes hard to clean. Laminate. 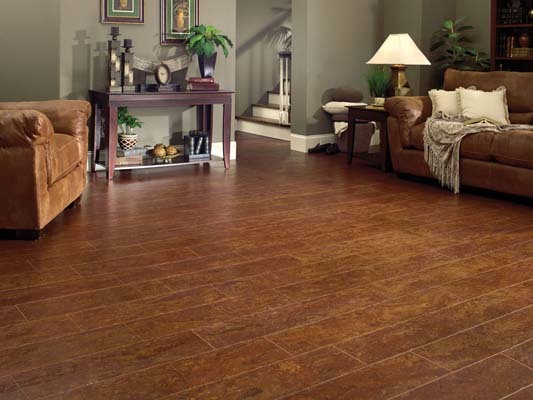 Laminate flooring is typically known as an inexpensive option. 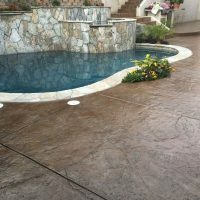 It’s fairly durable and easy to clean, but it can’t be refinished, and it doesn’t look as aesthetically impressive as hardwoods or tile options. Carpet. Like most other types of flooring, there are many sub-varieties of carpet to choose from as well. Nylon fiber carpet is the most popular choice, but polyester is good for holding colors for a long period of time. You could also go with a deep wool fiber for very soft carpet—the downside is that it’s susceptible to staining and is a fairly expensive option. Vinyl. Vinyl floors can be made to mimic wood or tile in appearance, but you can almost always spot the difference. It’s less expensive than other counterparts, but generally doesn’t look as impressive. Cork. Cork floors assist with keeping your rooms insulated; it’s warm, thick, and is capable of absorbing sounds as well. Unfortunately, cork floors tend to fade in sunlight and over time, and can get damaged by heavy furniture under pressure points. With so many options, how can you make the right decision? Consider the functionality. 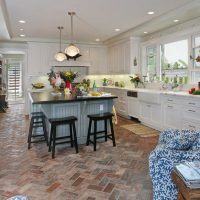 Though the aesthetics might be your biggest concern, you also have to think about the functionality; after all, if your flooring isn’t functional, it could stain, crack, or otherwise be damaged in a way that compromises its look. Functional floors also have a tendency to increase the value of your home. Understand your budget. Next, work to set a budget for your floors. 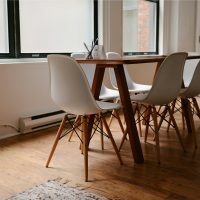 If you’re planning to hire someone to do the installation, you’ll pay a little more, but if you try to do the work yourself, you may not end up with a perfect installation. Think about your family. Who’s going to be using and appreciating these floors the most? What works well for one bedroom might not work for another, and what works well for a playroom may not be good for a dining room meant to entertain. Visualize the room. If you’re moving into a house or buying a new one, take a moment to visualize how you plan to design each room. Does your flooring option match what you want to eventually do? Give yourself flexibility. If you’re caught between options, go with the choice that affords you the most flexibility in the future; staying neutral is never a bad decision. With these steps, you should be able to make the perfect flooring decision for each room of your house. There’s no right or wrong answer here, as long as you choose the foundations that suit the functionality and style of each room. Don’t rush the decision; experiment with different possibilities before finalizing the call.